Much is being said about the $62bn Chinese investment coming into Pakistan under the banner of China-Pakistan Economic Corridor (CPEC). Although all analyses are speculative in nature, there is a consensus that this initiative presents Pakistan with an opportunity to put its economy back on track. This cohesive plan to develop Pakistan into an economic and energy hub entails coal, hydro, solar and wind plants. The corridor is a link between the prospective northern and southern silk roads that China is heavily focusing on in order to establish a transit for its manufactured goods all the way to Europe, the Middle East and Africa. Pakistan stands to benefit immensely from what seems to be a game changer for the region as the focus shifts from ‘geopolitics’ to ‘geo-economics’. Despite being encapsulated in never-ending security conundrums, Pakistan finally is emerging from the murky waters. Perhaps that is what keeps generating controversies and unwarranted apprehensions with respect to CPEC. Though such myths are figment of delusional thinking of the cynics of CPEC, those have also propelled a number of other questions. How the country’s security disputes with its neighbors figure into the equation is an important one. India’s aspersions, in particular, regarding this endeavour stand out and should be seen in the context of a possible détente between the two rivals. For India, CPEC is a thorn in its paw. They have put their heads together to work out new strategies to block the project. The RAW has reportedly opened a special office in New Delhi and has been allotted $300 million to disrupt CPEC. 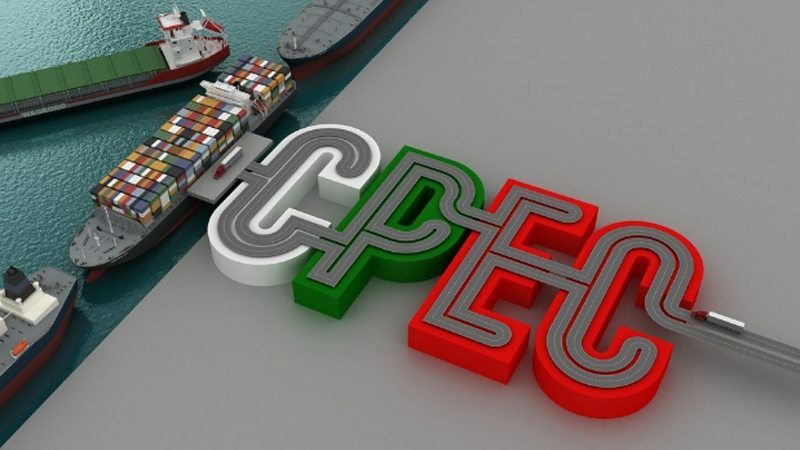 Other than that, India has also reportedly poured an initial investment of $150 million for the development of Iranian port of Chabahar in a bid to make CPEC a failure. Also India along with some other hostile states has launched a malicious campaign aimed at discrediting the CPEC, linking it with the Kashmir dispute. One can notice sudden upsurge in the acts of terrorism in the three restive regions and activation of certain NGOs and think tanks, all trying to air misgivings and create a fear psychosis. Whether such international rivalries will further deepen Pakistan’s ethnic and sectarian crevices is another pertinent concern. The security landscape in Balochistan has been made rife with militant and sectarian violence by the hostile international forces and their surrogates within Pakistan for using it as a tool to disrupt the CPEC project. These tactics have so far and will continue to fail as entire nation of Pakistan is united and resilient to make CPEC successful at all costs. Another myth being propagated vis-à-vis CPEC is that Pakistan might become a colony of China. Any historian would tell you that colonialism and imperialism are the legacies of the countries of global north. China has never invaded any country nor harbored any imperial designs. Cynics point out towards rising trade deficit with China as a reason to show concern on the CPEC. The reality is that China’s competitiveness in exports is universal and not idiosyncratic to Pakistan. Pakistan’s current trade deficit with China is $6.2 billion. In comparison, India’s trade deficit with China stands at $47 billion. The US trade deficit with China is $347 billion. Based on these trade deficit numbers, is it appropriate to infer that the US or India are becoming colonies of China? Certainly not! Similarly, it is ludicrous to make such claims about the Pakistan-China relationship. Both countries respect the sovereignty of each other and CPEC is based on the shared vision of both countries: Vision 2025 and BRI. On pretext of CPEC, China dictating terms to Pakistan also holds no credibility. Instead, reality is quite the opposite. China and Pakistan work jointly in making an overall planning for a unified development of CPEC projects. In this regard, the long term plan, transport monographic study and respective MoUs guide the policy for the CPEC. The CPEC will improve road, air, sea, and energy infrastructure. It will ensure land, sea and air security. It will enhance trade and investment facilitation and will establish free trade areas that meet high standards, maintain closer economic ties, and deepen political trust. Also, it will enhance cultural exchanges and promote mutual understanding, peace, and friendship between the people of the two countries. Times are changing, the world is transforming, and Asia remains at the epicentre of this 21st century transformation. In this phase of global transformation, CPEC serves as the flagship project of Belt and Road Initiative (BRI). The CPEC, which is one of the seven economic corridors of BRI, provides Pakistan and the surrounding countries enormous opportunities as it gives an integrating platform for over three billion people in Central, West and South Asia, as well as in the Middle East and Africa.